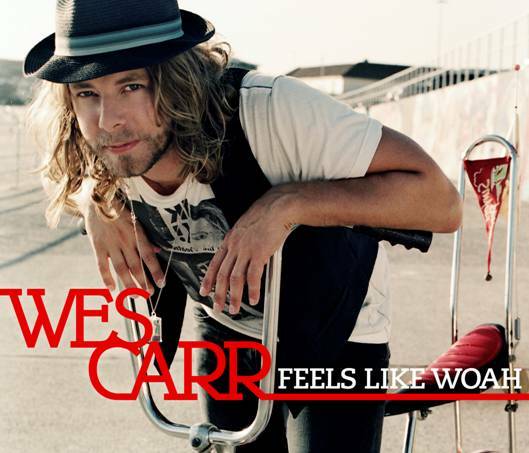 He’s scored big time already in getting this single chosen as the theme for the 2009 Australian NRL season, but with his debut single ‘You’ plonking in at No.1 on the ARIA singles charts and selling very well physically, attention now turns to making sure that 2008 Australian Idol winner Wes Carr replicates his past chart successes with this insanely catchy new single. The clip is very Sydney, from the odd shot of the tower in the background to the iconic Sydney buses, the only thing missing in amongst all this is the obligatory combo shot of the Harbour Bridge/Opera House. The clip is peppered with footage of Wes belting the song out in amongst a forest of hanging microphones. It’s insanely catchy, we’ll give him that – and we’ve always believed Wes to be quite possibly the strongest Australian Idol winner in the program’s six year history. So combine a true musician with a genuine talent and a desperately catchy song that’s also being used as the theme to one of the biggest sporting competitions in the country and you’ve got yourself another bonafide hit on your hands. Hi, love the song AND have the album. I have a question that some may be able to help me out with. I have a friend who thinks ‘feels like whoa’ is a cover – I have told her I dont think it is but can anyone give us the exact answer please????? Awsome track with a sweet tune. Rythmic yet not too over-bearing. Hope it gets farther up the ladder soon! A bit of a disappointing debut at no. 44…but I imagine it will rise with the constant radio airplay it recieves, and the NRL promotion on the TV. Good on you Wes, you knew where a star!!! and I can’t wait for your album to be released 2 out of 2 for me so far!!! Good to see real talent getting ahead and some new fresh music finally hitting the radio..well done!! !